I know that this probably isn’t too thrilling, but I documented it anyway. 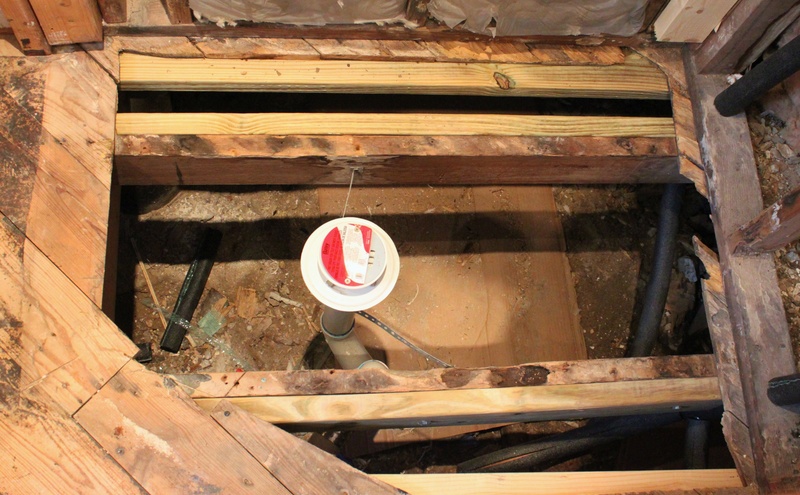 The previous shower had rotted through the sub-floor……good thing we never used it. The cross beams were a little weathered as well. 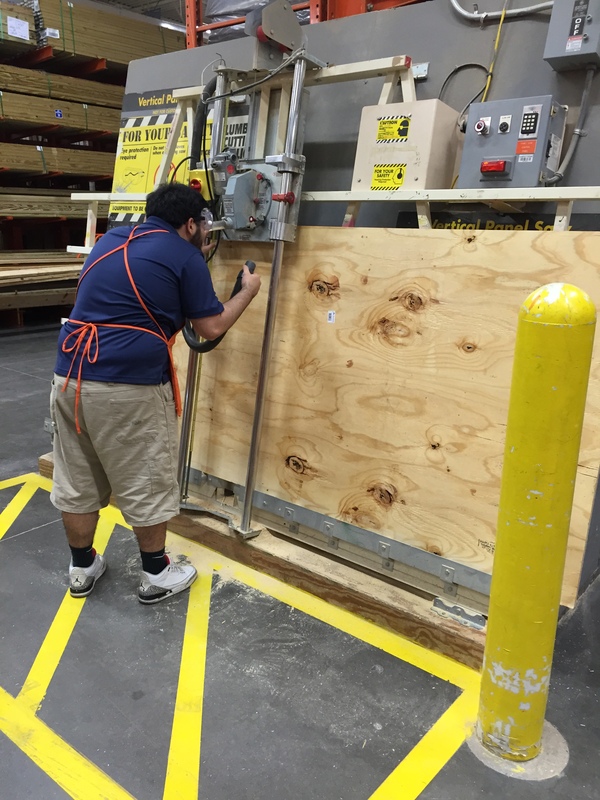 We solved that issue by doubling them up with new pressure treated 2X6’s attached with lag screws. 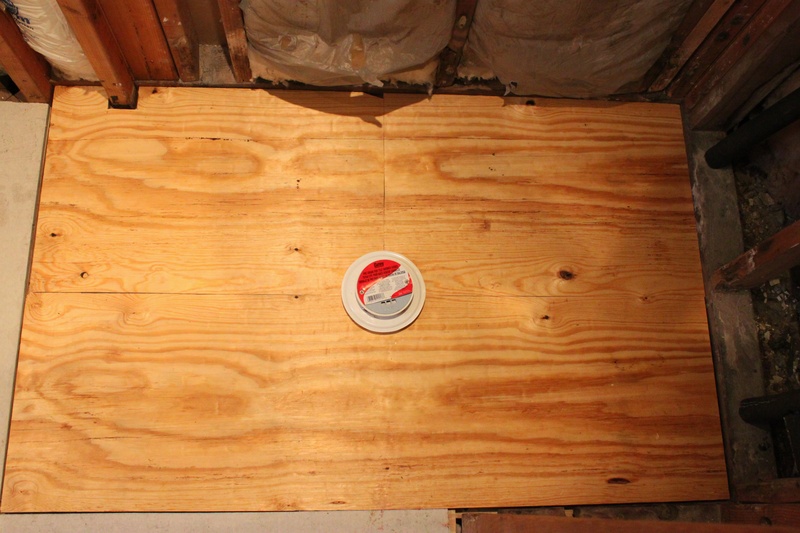 Way, Much, More better….but we’re still left with a “Reverse-Nevada” shaped hole in the floor completely exposing our crawl space. 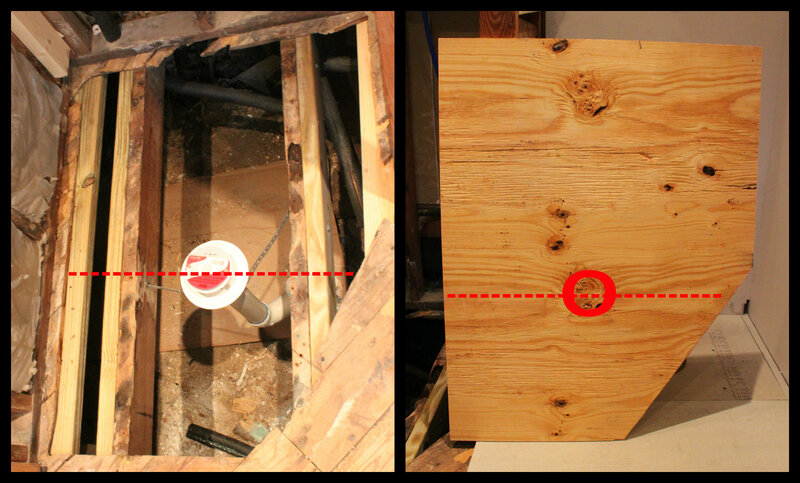 First off, we need to get the hole up to the height of the existing sub-floor, 1/2 inch. There’s no way I’d ever get a 4X8 sheet of 1/2 inch plywood in my Jeep. Didn’t faze Ismael one bit. He sliced that 4X8 sheet into 5 perfect pieces. These pieces will fit in my Jeep just fine. The 39″ X 30″ piece will become the “Reverse-Nevada” after I slice a corner off…….like so. Should fit in my empty space just perfectly. But I can’t tell because there’s a drain in the way. I must slice the “Reverse-Nevada” in half with a circular saw and make room for the drain. 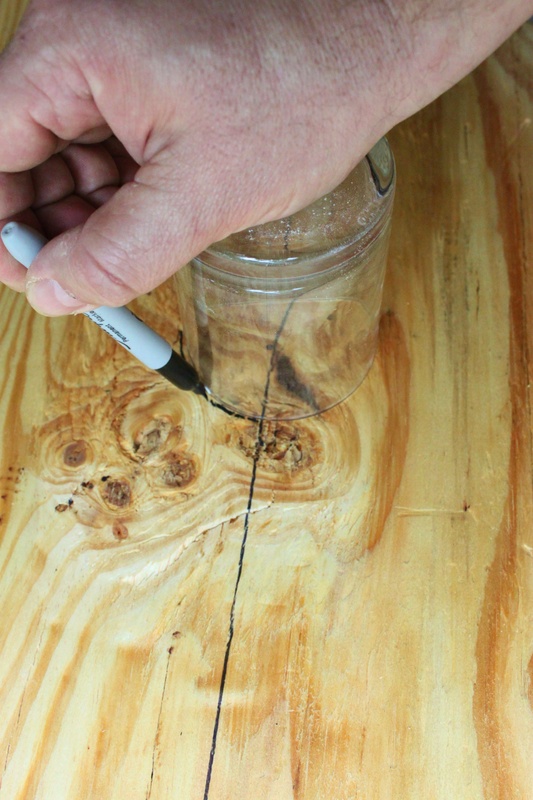 After making a cut-line through the almost middle, I use a drinking glass as a template for the drain hole. Pretty clever, I know. 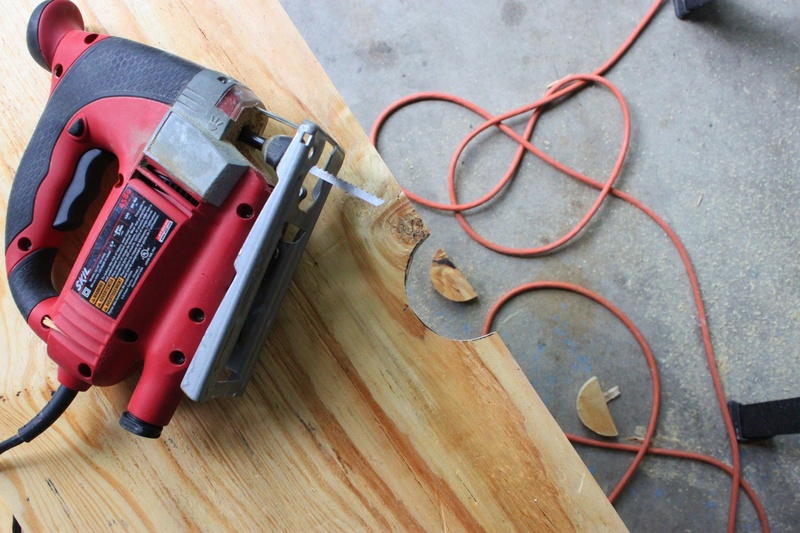 Once the board is cut in half, I used a jig-saw to cut out the 2 half-circles. 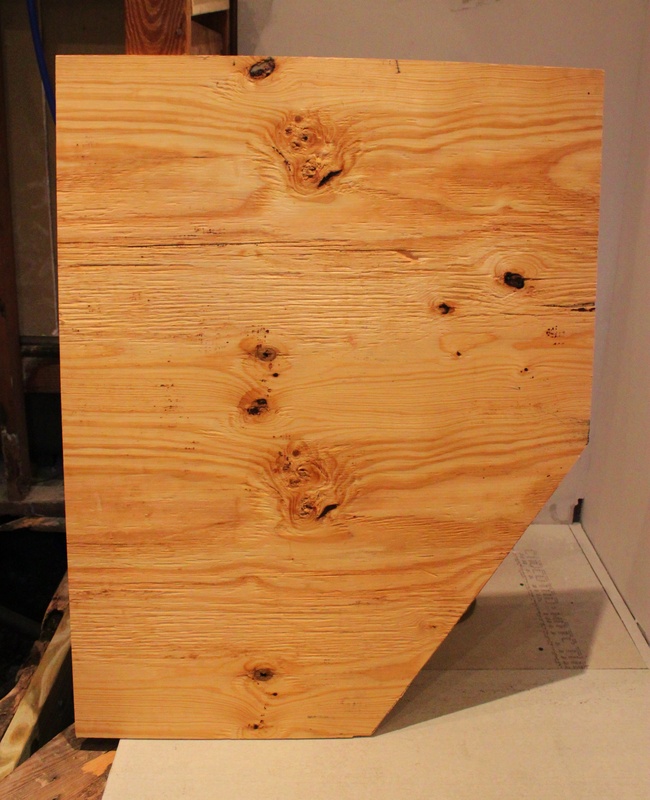 I screwed the “Reverse-Nevada” down with about 25 drywall screws, and started the process over with the 51.5″ X 32.5″ sheet. This one will cover the entire shower floor. It took 3 slices to get it around the drain, but it fits beautifully. 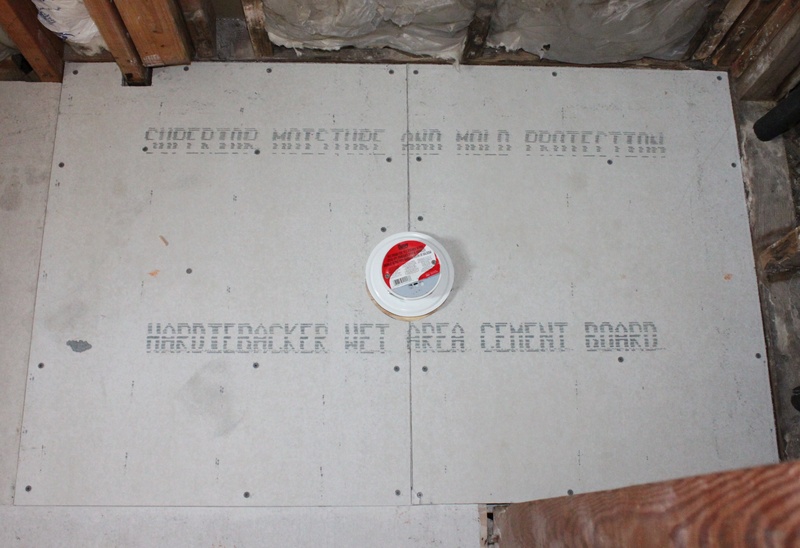 Did the same with 1/2″ thick cement board. Could not possibly screw this thing down enough. Looks like our plumber centered that drain just perfectly BTW. Still have to do a layer of sloping Quickcreate, the water-proof liner, and tile. 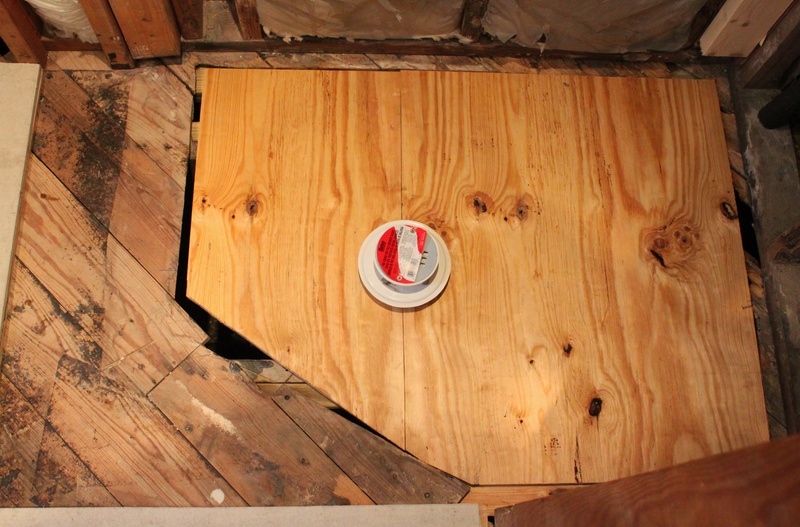 And Way, More Better than the gaping hole that was there this morning……. Way more better is right! I can’t wait to see what comes next! Good lord, I know what you mean about finding help at Home Depot. A few weeks ago I was looking for zip ties and spent an eternity looking for help and finally found the zip ties by accident on my own. Still way better than Lowe’s, Candice. I spent an hour looking for an employee who knew what a picture light was. Never found one….or someone who had possibly been to a museum, OR even seen a movie with a museum in it. 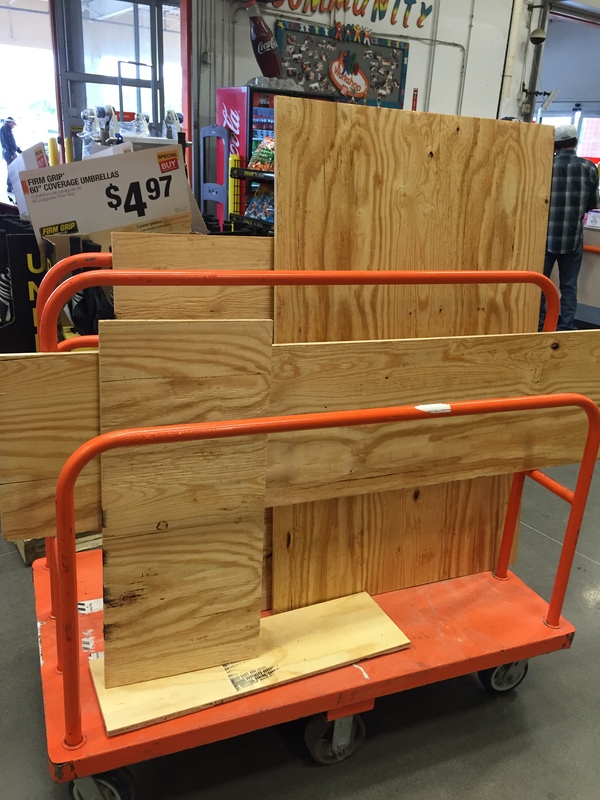 When no one in the store knew if they even had access to the Lowe’s website so we could look for one ourselves……..we just left. I can’t tell you yet, it’s the best part of the design. It’s a color that makes us smile every time we look at it. We did order it already, most expensive single purchase we’ve made so far, and they didn’t have enough in a single dye-lot, so we won’t have it till early June.